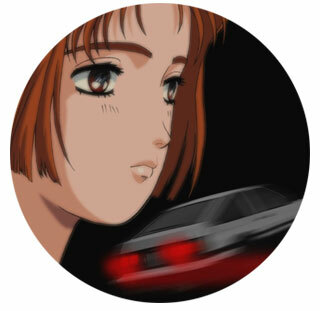 If you're someone who likes turning a wrench, or just has a need for speed, then Initial D is going to be THE series you want. 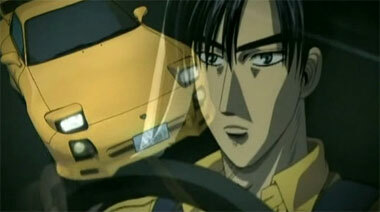 This show is all about illegal street racing, drifting, and the actual physics of driving. The vehicles are realistic and the racing is so real, you'll think the cars aren't going fast enough (as is overdone in Fast and Furious movies). 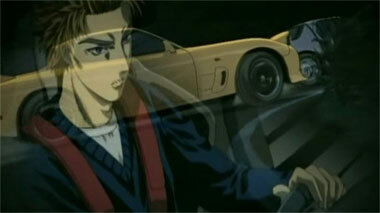 But I have to tell you, the show is damn effective to those of us who it's targeted towards. No sooner had I watched three episodes than I wanted to go out and start making racing mods to my car. Just don't blame your speeding tickets on us! 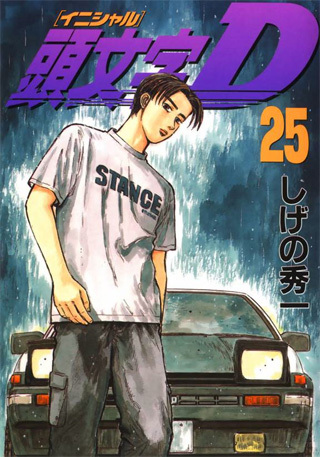 Below: Images from the anime series Initial D.
Below: A Initial D manga cover.